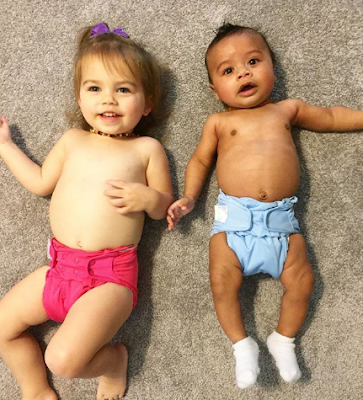 I'm almost done with cloth diapering after 9 years! Paige is potty-trained during the day and we mostly use disposables at night (I've been trying to figure out a way to use a cloth at night since she actually wakes up dry probably 4-5 days a week) - it is exciting to be almost done! !